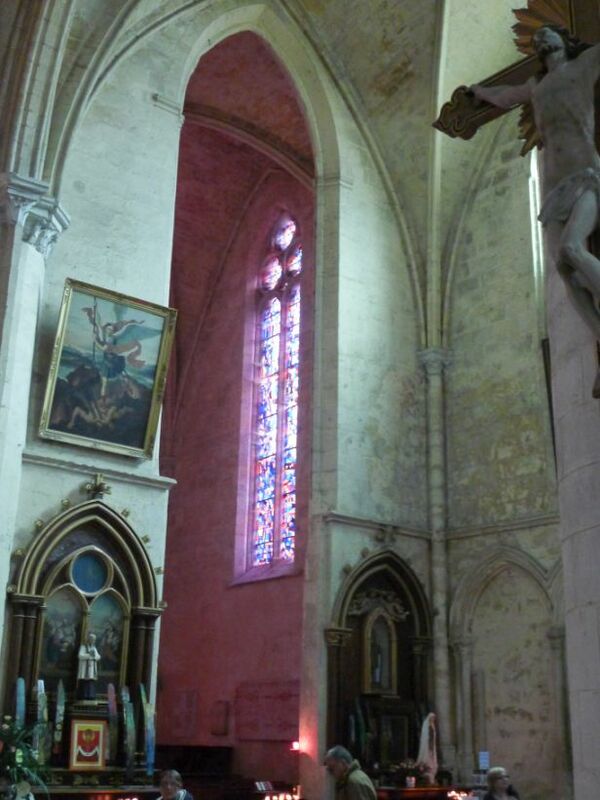 Saint Émilion is a region of southern France that drew attention in the eighth century when a Breton monk named Émilion fled from Vannes, his hometown to escape persecution by the Benedictine Order, and seek refuge in one of the natural caves in a place called Ascum bas (former name of the village). Living the life of a hermit he accomplished a few miracles and rapidly became famous in the region and even far beyond its borders. Soon he had many disciples and with their help he evangelized that place and made it become a great religious center. 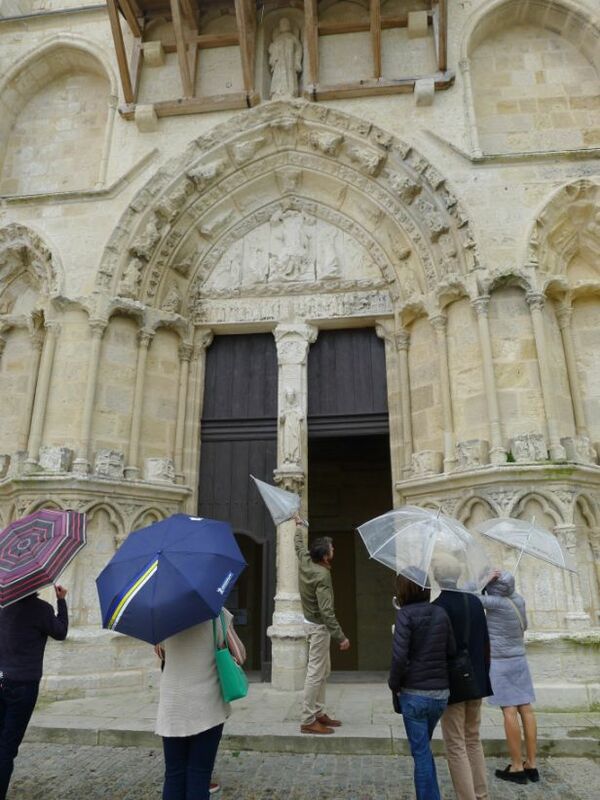 Even after his death his followers carried on his legacy and even called the town after him: Saint Émilion. 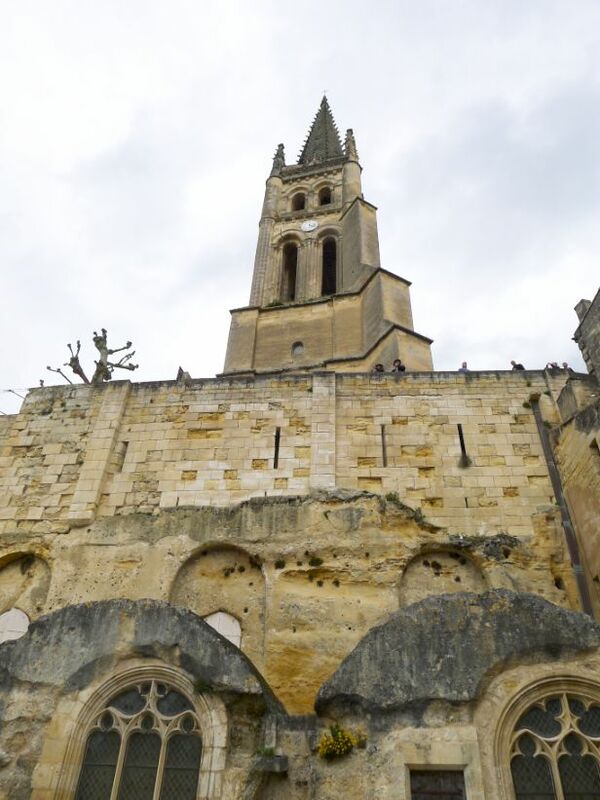 St Emilion's history stretches back to Roman times, which they planted vineyards in what was to become Saint-Émilion as early as the 2nd century. 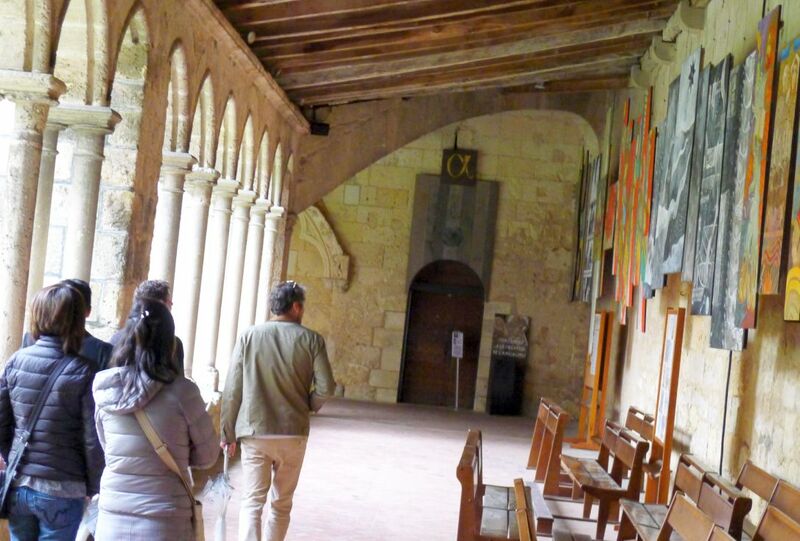 The monks who followed Émilion started the commercial wine production in the area and ever since Saint Émilion acquired wealth and prominence due to wine production and to its strategic position along a pilgrimage route to Santiago de Compostela. 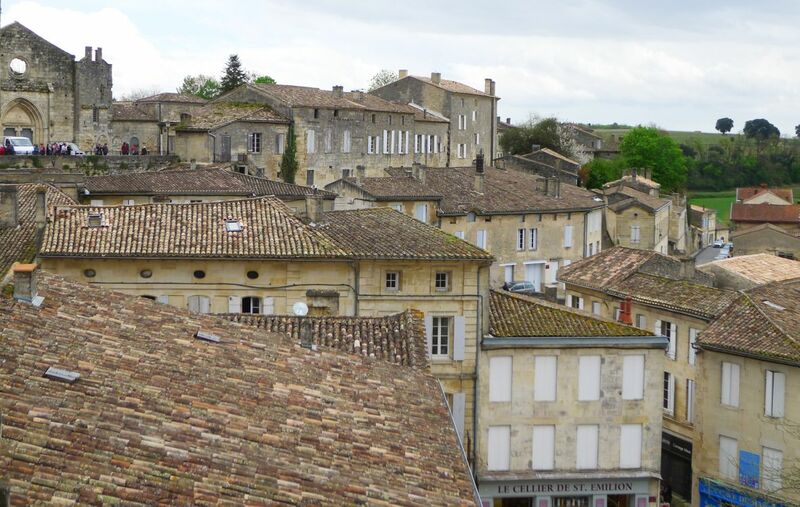 Saint-Émilion is one of the principal red wine areas of Bordeaux along with the Médoc, Graves and Pomerol. The region is much smaller than the Médoc and adjoins Pomerol. As in Pomerol and the other appellations on the right bank of the Gironde, the primary grape varieties used are Merlot and Cabernet Franc, with relatively small amounts of Cabernet Sauvignon also being used by some châteaux. 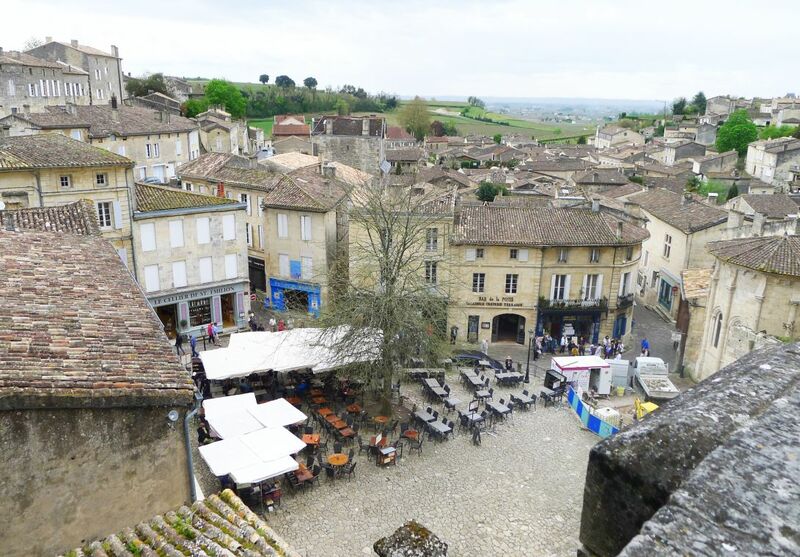 The cultural landscape of Saint-Emilion was added to the UNESCO World Heritage List in 1999 with fascinating Romanesque churches and ruins stretching all along steep and narrow streets. The monolithich church is an underground religious building that was dug by extending caves and quarries in the early 12th century of gigantic porportions (124 feet long and 40 feet high). 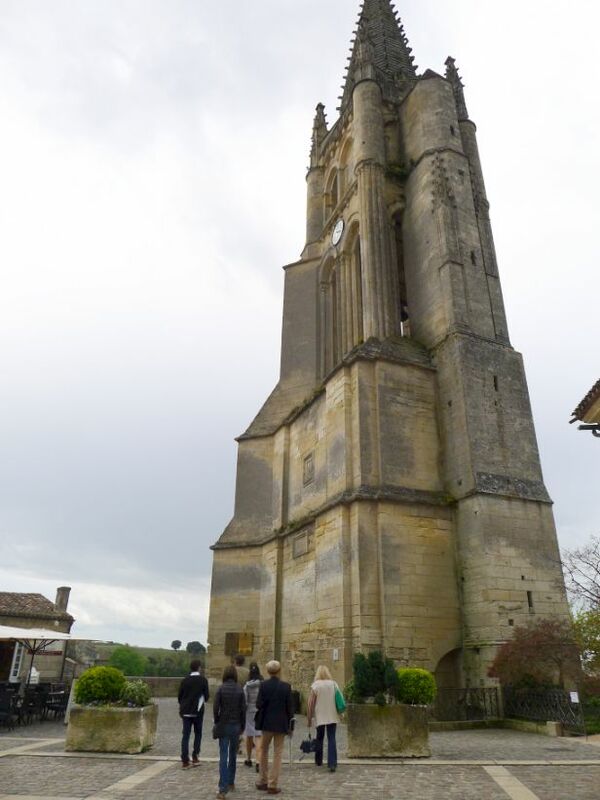 The bell tower was built much later from the 12th to 15th century and the church was carved directly into the stone, hence its name, the monolith church. Émilion was buried at the age of 76 and his sucessors continue to dig the mountains to create an amazing architectural site. 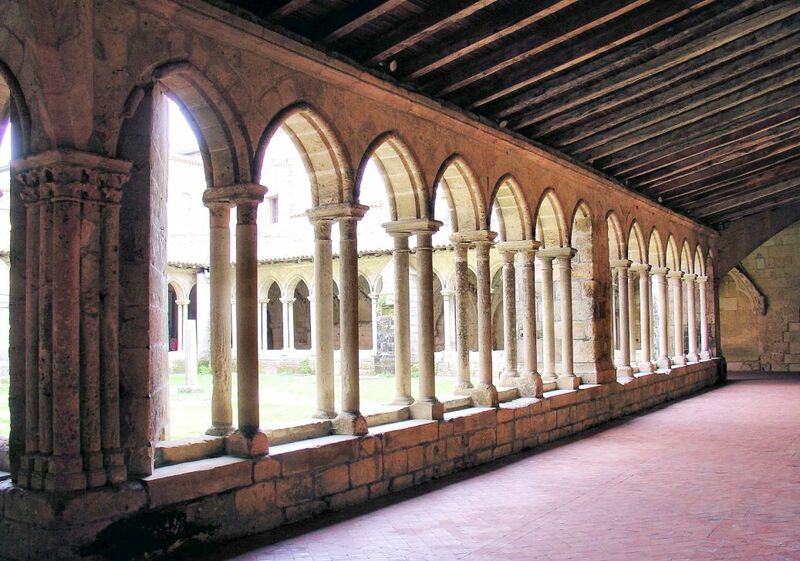 It is said that at times there were between 5 to 55 monks hollowing out the rocks. 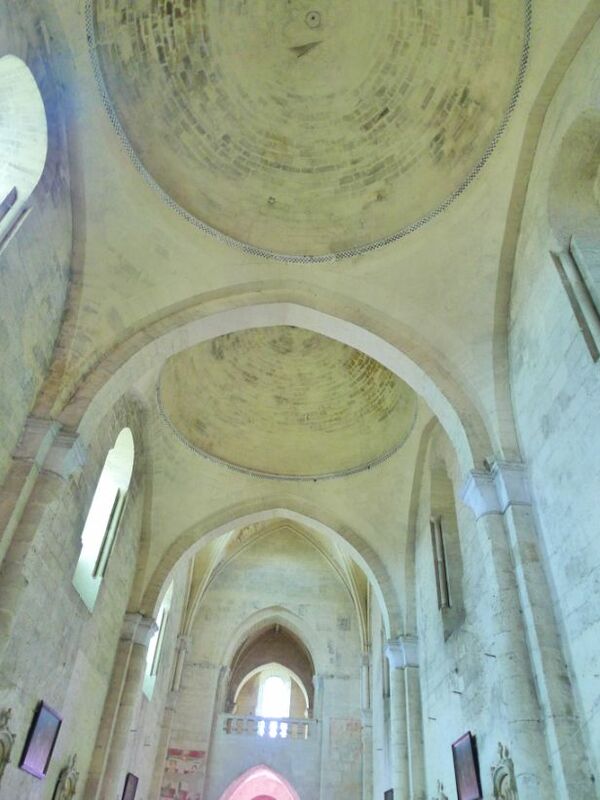 The monolithic Churc of Saint Émilion is unique in the world, with more than 172 acres of underground galleries dug into the limestone rock. Its contruction required the extraction of more than 15,000 cubic feet of rocks. 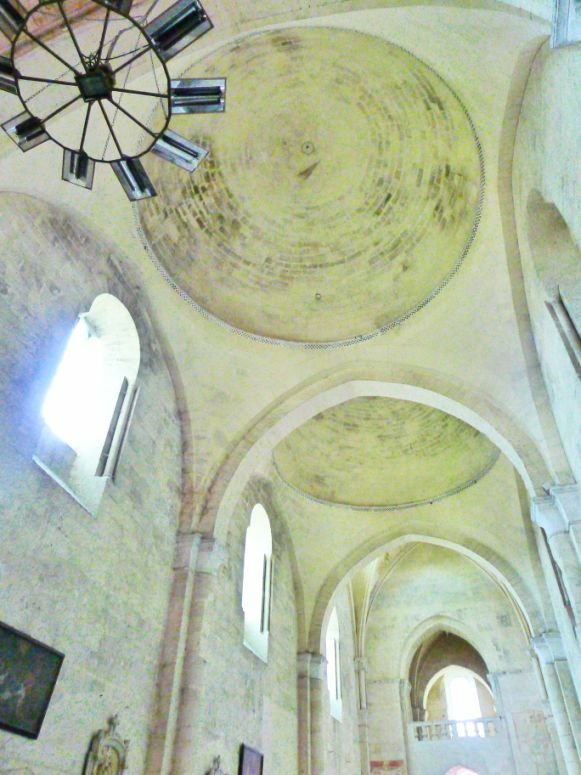 Rising dramatically against a rocky backdrop, Saint Émilion Monolithic Church is partly subterranean. Its tree naves, with a small catacomb beneath, were dug into a rocky hillside. Saint Émilion. bell tower is the town's highest point. 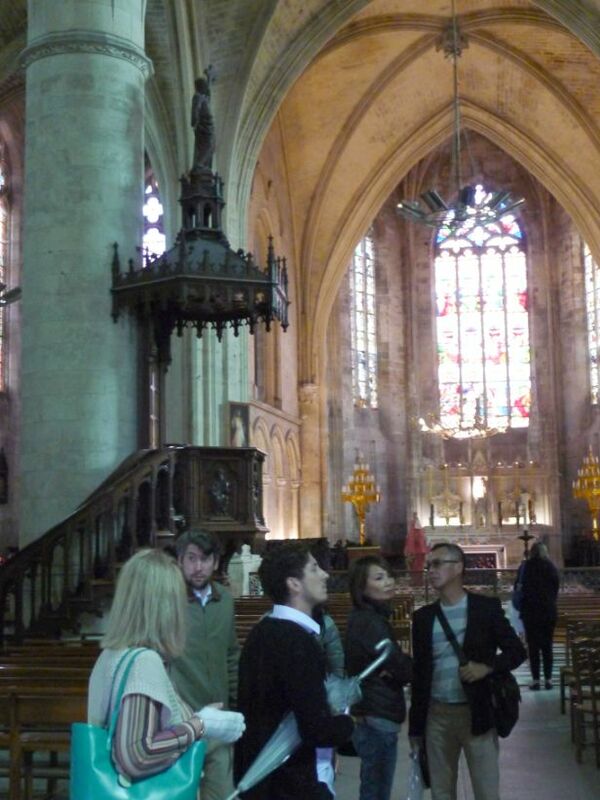 The church below the tower was hollowed out of a solid rock more than 900 years ago. Remy and his assistant giving us a quick history of the church. 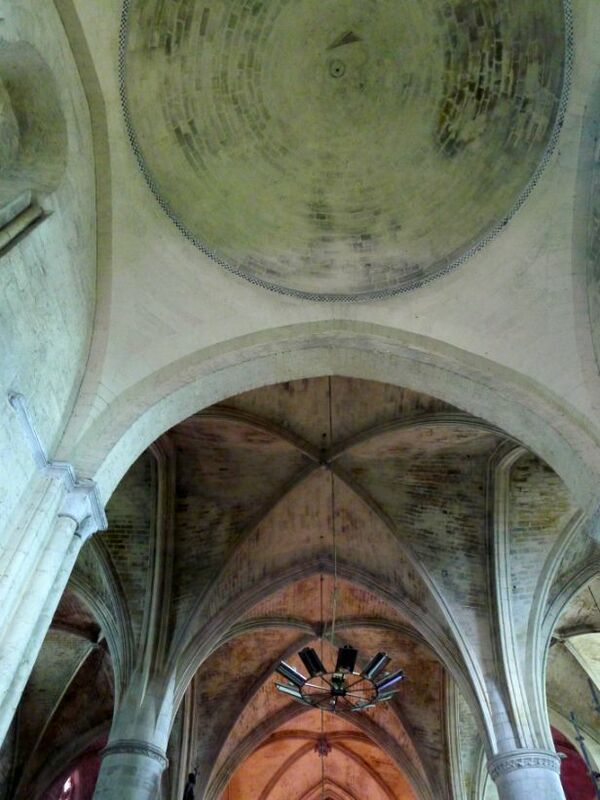 The fascinating of this early-12C church, partly subterranean, was carved entirely out of rock by monks. It was raining but Remy had a bunch of umbrellas for us to use. 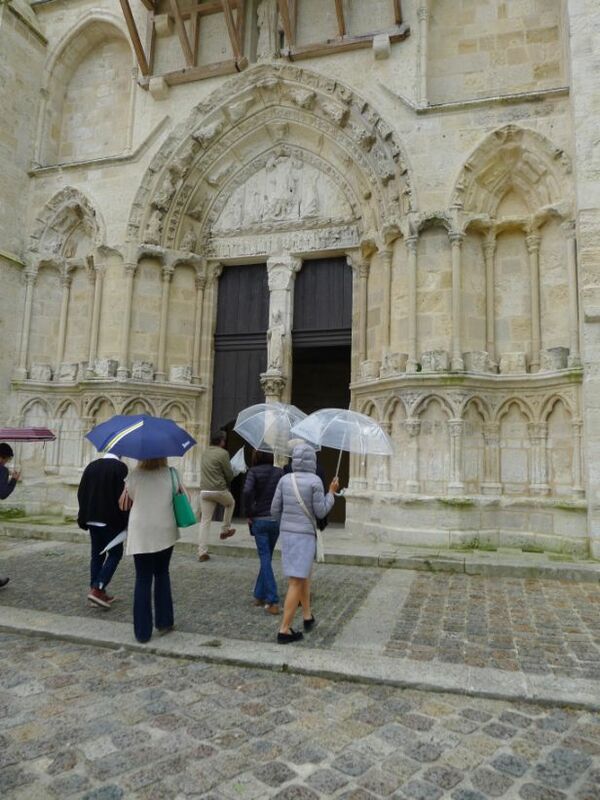 This is the front portal of the church. 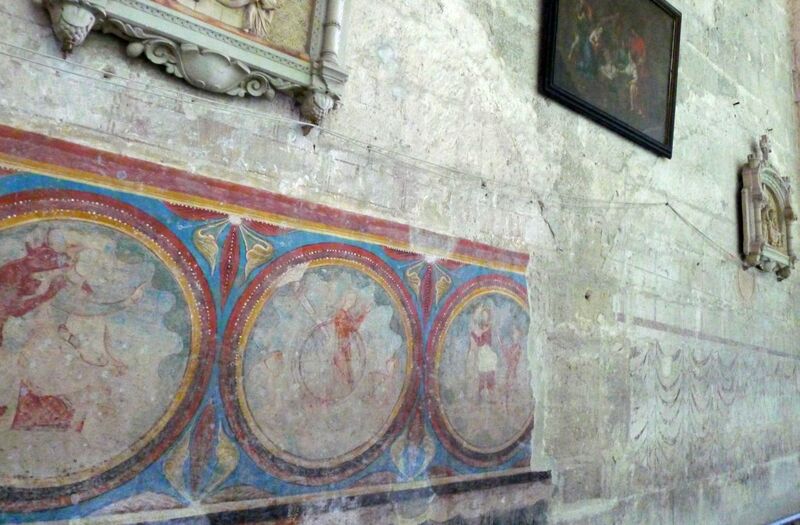 Carved in the 12th century, painted in the 14th century, devastated in the 16th century, battered in the 18th century during the revolution of 1789 and restored in the 20th century. The monolithic church is the largest church of its kind in Europe and it offers a beautiful intricately carved portal with beautiful carvings. 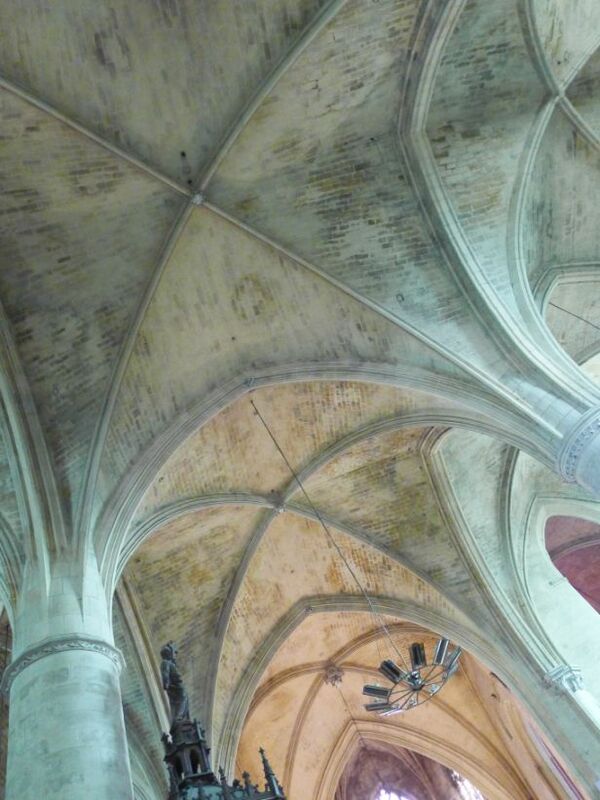 If you look carefully at the carvings you will see the damage caused by the French Revolution. They knocked out a lot of effigies which is such a shame. 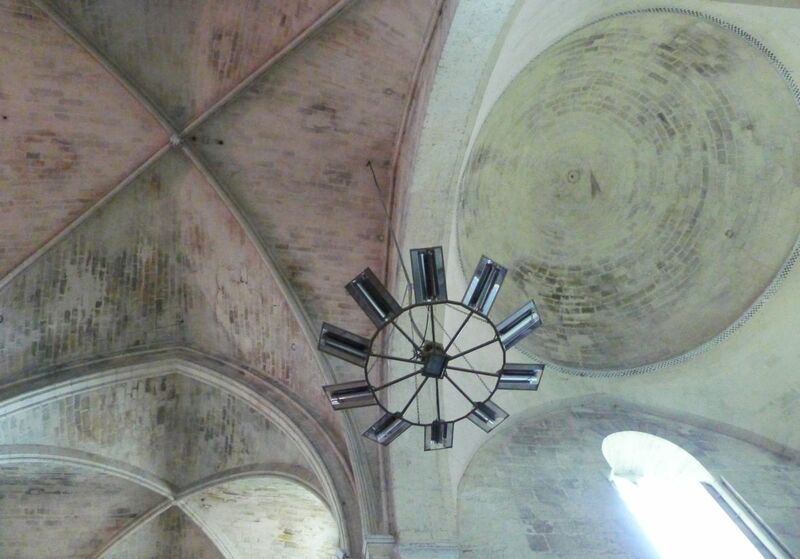 The church’s 173 feet high bell-tower was a notable landmark, though by the late twentieth century the 3,000 ton weight of the tower shifted, making it susceptible to collapse. 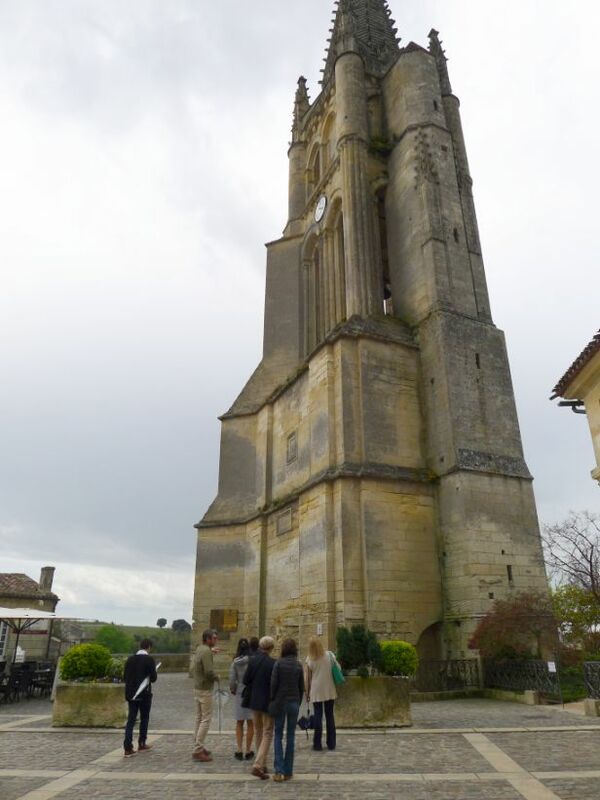 In 1996, World Monuments Fund placed Saint-Emilion Monolithic Church on the Watch because of the severe structural problems, exacerbated by constant water infiltration threatening this architecturally and culturally significant site. Cement columns had been erected to supplement the church’s pillars and reinforce the bell tower, but this solution was neither designed to be permanent nor aesthetically desirable. 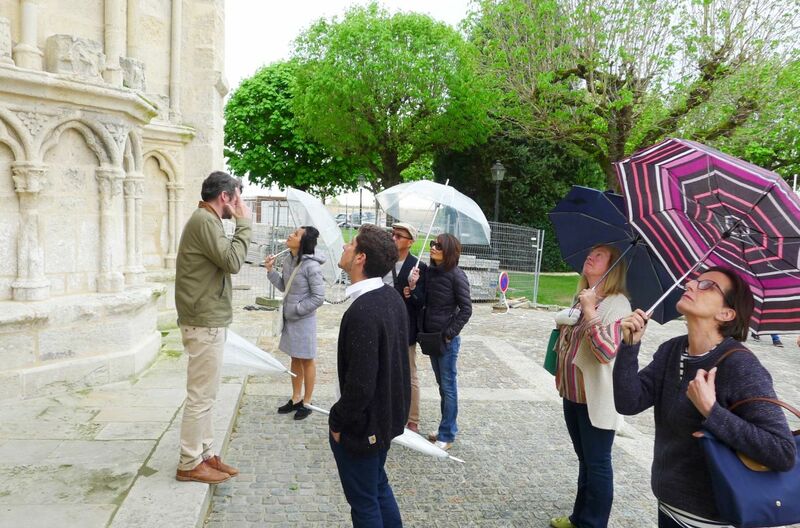 To begin, WMF undertook a technical study that identified and analyzed the specific problems at Saint-Emilion. A meeting of international experts was convened by WMF in 1998. Geologists, architects, and engineers from universities across Europe produced recommendations for conservation strategies that were implemented, with funding from the local and national governments. 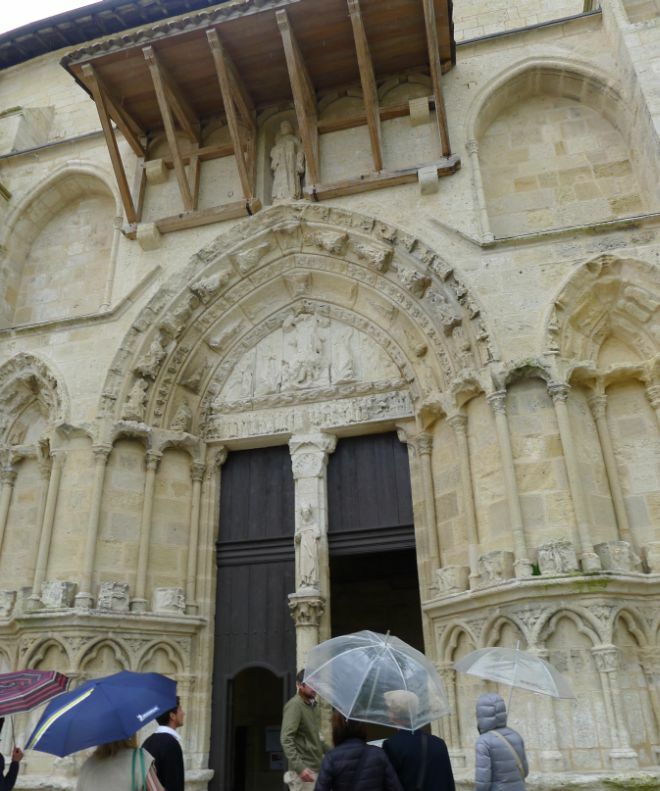 The church’s foundations were strengthened through the insertion of tensile bands into the pillars. 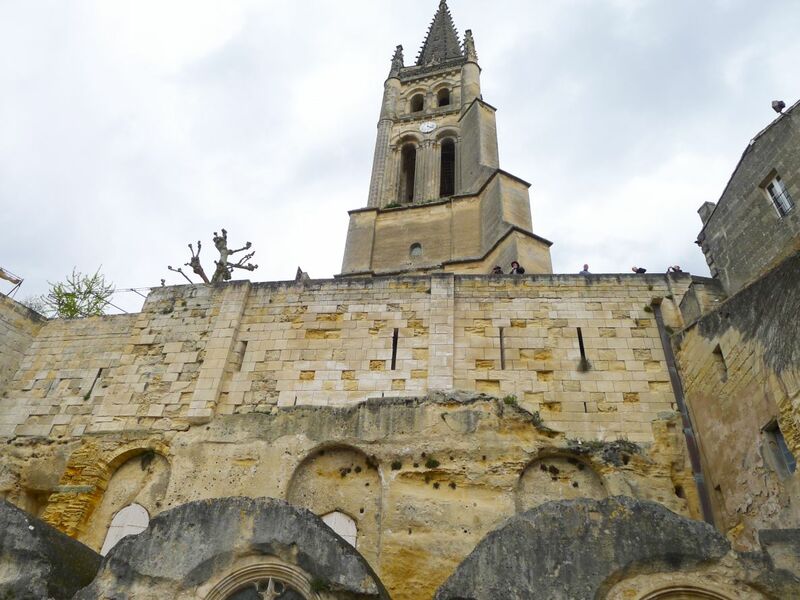 A decade after inclusion on the Watch, Saint-Emilion Monolithic Church was stabilized, restored, and opened to the public. 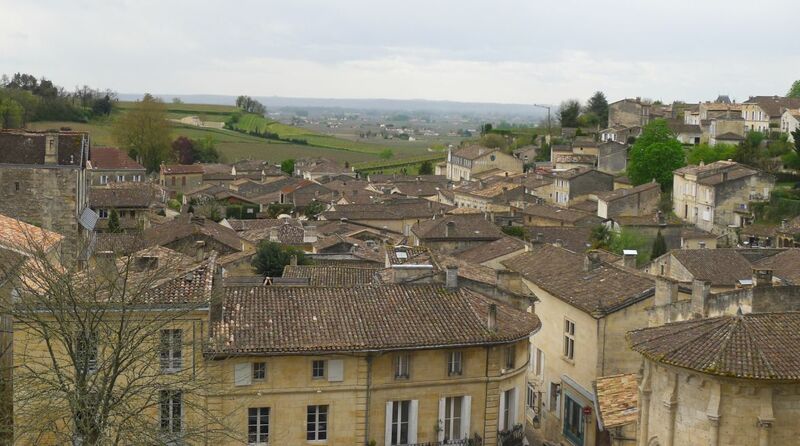 View of Saint Émilion from the roof top of the church. The village below is so quaint and charming. 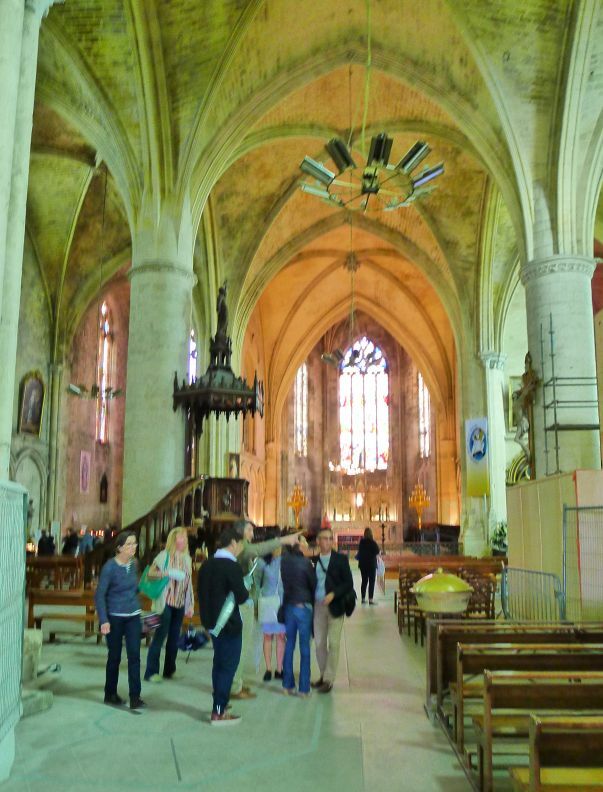 As you walked inside the church you will see two distinct type of architecture: Gothic and Romanesque style. 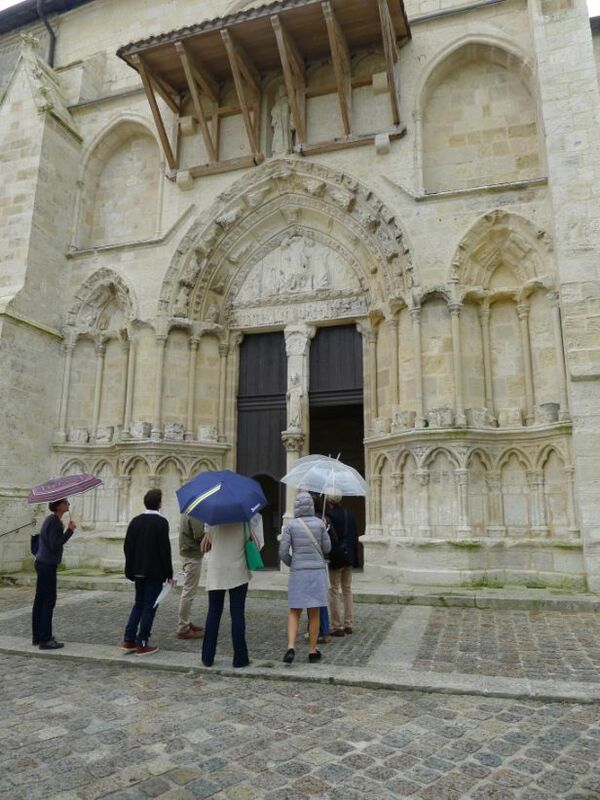 Both style are so different and it is reflects the different construction period from Romanesque to Gothic. 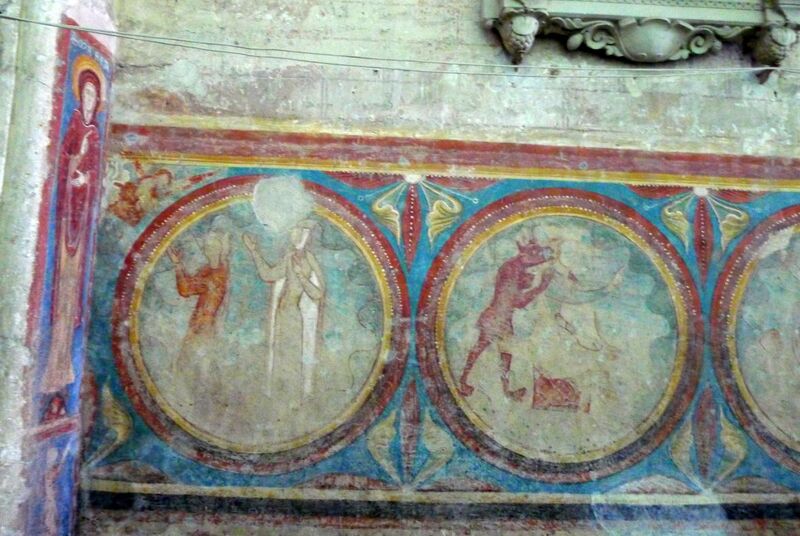 It is totally apparent here to see both style Gothic (left) and Romanesque (right) side by side. 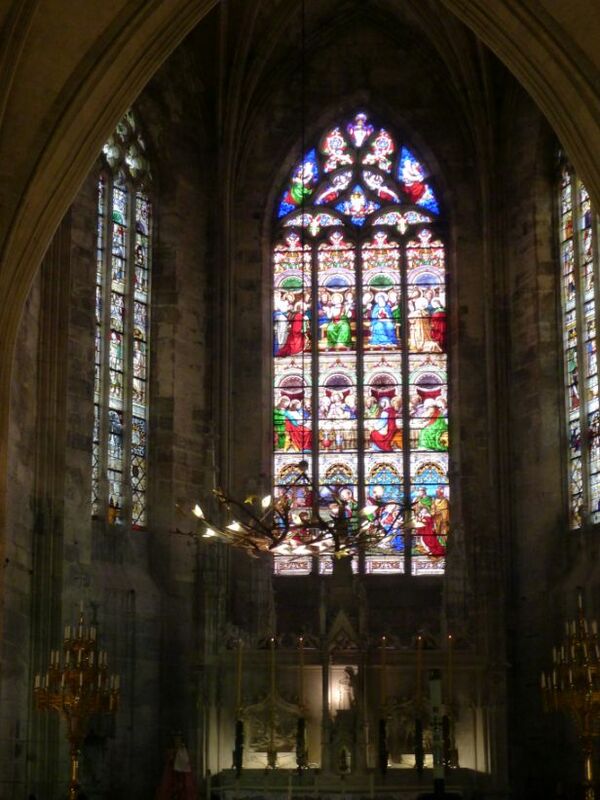 Inside the church, the nave is adorned with nicely restored wall paintings and amazing Gothic stained glass windows, while the statues of the Apostles on the tympanum were partly destroyed during the French Revolution. 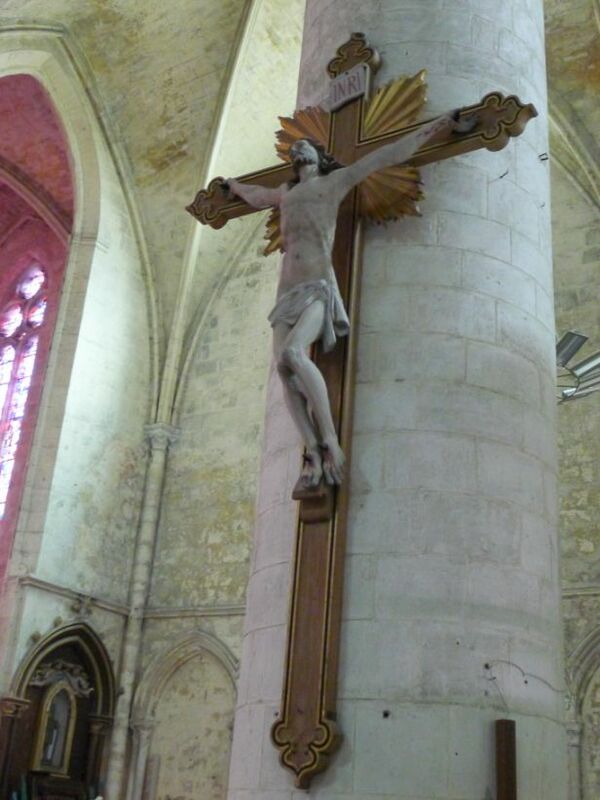 A large crucifix hanging on a pillar. 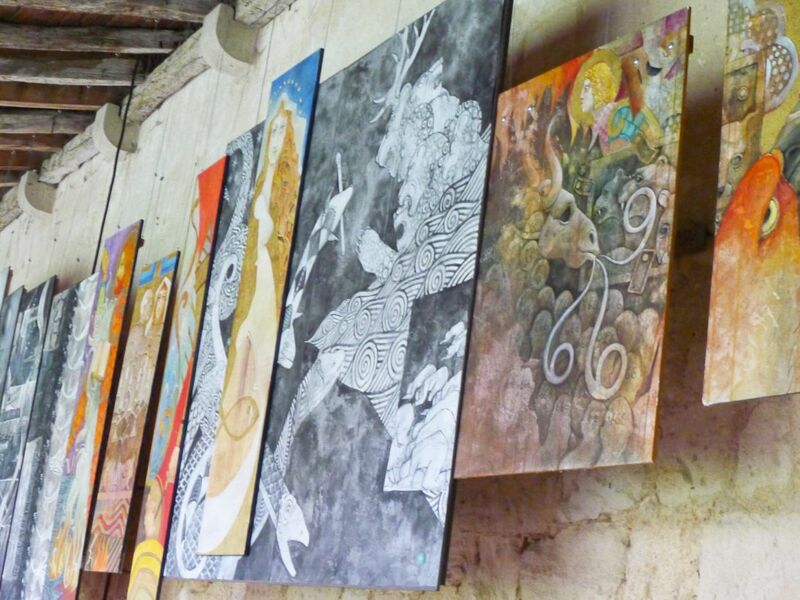 They hang a lot of modern paintings against the wall by local artists. Paintings are for sale.